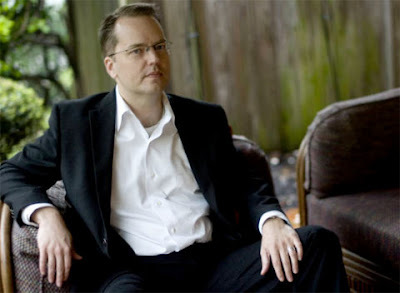 David Bell is the author of seven novels from Berkley/Penguin, including BRING HER HOME, SINCE SHE WENT AWAY, SOMEBODY I USED TO KNOW, THE FORGOTTEN GIRL, NEVER COME BACK, THE HIDING PLACE, and CEMETERY GIRL. His work has been translated into numerous foreign languages, and in 2013, he won the prestigious Prix Polar International de Cognac for best crime novel by an international author. He is an associate professor of English at Western Kentucky University where he directs the MFA program in creative writing. A native of Cincinnati, Ohio, he spends his free time rooting for the Reds and Bengals, watching movies, and walking in the cemetery near his house. He lives in Bowling Green, Kentucky, with his wife, writer Molly McCaffrey. I can’t think of one defining moment. I always loved to read. My whole family loved to read. At some point, it made sense to take the leap from reader to writer. I know that at the end of my time as an undergraduate in college, I realized the gravy train was about to leave the station, and I had to hurry up and decide on a career path. I picked writer, which meant I spent a lot of time working as a bartender and a telemarketer. I’ll give you three: Charles Manson and I are from the same town. Cult leader Jim Jones and I attended the same university. And I once peed next to Norman Mailer. Learning to read. What else is there? I had a lot of great teachers who loved books and stories, and they cultivated that desire in me. I also learned that even the smallest, oldest nun can pull your hair until it hurts. The greatest thing other authors have done for me is to simply believe in me. When hugely talented and experienced authors like Ed Gorman, Tom Monteleone, or John Lescroart say that they believe in me, it’s worth more than anything. Writers always need confidence boosts, especially when we’re young and just starting out. I can’t thank those authors enough for that. In your new book; The Hiding Place, can you tell my Book Nerd community a little about it? THE HIDING PLACE tells the story of a family that lost a child twenty-five years ago. As the anniversary of the boy’s death approaches, new questions arise about the case: Did the right man get convicted? Did the child really die? And who is the strange man who has come to town, claiming to know what really happened in the past? What was one of the most surprising things you learned in Janet? I knew she was tough and brave, but she kept surprising me with how tough and brave she was. She never backed down from a fight or a challenge, and I liked that about her a lot. For those who are unfamiliar with Janet, how would you introduce her? Janet is a single mom who has made a life for herself and her fifteen-year-old daughter, Ashleigh. But Janet is also haunted by the death of her brother when she was seven and he was four. Janet was supposed to be watching him the day he disappeared, and she’s really on a journey to try to understand what really happened that day—and hopefully find some peace of mind about it. Keep reading books! Buy books from your community bookstores. Go to readings and book signings. Spend time with other readers. Support your libraries. Keep books and reading alive! What a wild question. What would happen if Caitlin, the girl from CEMETERY GIRL, and Ashleigh, the girl from THE HIDING PLACE, got together? Any two teenagers can start a lot of trouble, but those two…yikes! How much hair do you have left on your head? Maybe being a kid and just having hours and hours to read on a sleepy afternoon. Nowhere to go. No job. No demands. Just reading. That’s tough to find as an adult. What's the most mermorable summer job you've ever had? I worked as a movie theatre projectionist one summer. I could have all the Mountain Dew I wanted, and I saw TOP GUN, THE COLOR OF MONEY, LEGAL EAGLES, and MANNEQUIN more times than I can count. That would have to be my wife, Molly. I tell my wife all the time. When they bring me good news about my writing career, I tell my agent or editor that I love them. I’ve had many, many great teachers who encouraged me and shared my love of reading and writing. In recent years, some of the best have been Tom Monteleone, David Morrell, F. Paul Wilson, Jack Ketchum, and Richard Chizmar at the Borderlands Press Boot Camp for Writers. Before I paid off my student loan, I cried every time I mailed a payment. In all seriousness, my dad died two years ago. I cried like a baby. I have dreams of falling. Dreams of being chased. 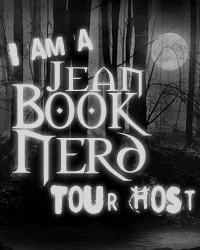 And, of course, the scariest thing of all—dreams of books not selling enough! Sometimes it’s easier to believe a lie. Twenty-five-years ago, the disappearance of four-year-old Justin Manning rocked the small town of Dove Point, Ohio. After his body was found in a shallow grave in the woods two months later, the repercussions were felt for years.… Janet Manning has been haunted by the murder since the day she lost sight of her brother in the park. Now, with the twenty-fifth anniversary of Justin’s death looming, a detective and a newspaper reporter have started to ask questions, opening old wounds and raising new suspicions. Could the man convicted of the murder—who spent more than two decades in prison—really be innocent? Janet’s childhood friend and high school crush, who was in the park with her that day, has returned to Dove Point, where he is wrestling with his own conflicted memories of the events. And a strange man appears at Janet’s door in the middle of the night, claiming to know the truth. Soon, years of deceit will be swept away, and the truth about what happened to Janet’s brother will be revealed. And the answers that Janet has sought may be found much closer to home than she ever could have imagined. David Bell’s highly engrossing novel, The Hiding Place, tells the story of the disappearance and murder of four-year-old Justin Manning and how it affected the small town of Dove Point, Ohio. Readers are introduced to his sister, Janet, who along with friends was the last one to see Justin alive. After almost twenty-five years later, a newspaper reporter and detected are digging into the case that is nurturing new doubts and could prove the man convicted for the murder innocent. Plenty of twists unfold as a mysterious man claiming to know the truth makes himself known. After years of accepting what was to believe, Janet is suddenly looming closer to the truth but is shocked when it is leaning closer to home. The loss of Janet’s brother and its affects towards her life and family are clearly depicted with rich textured details. Just like Cemetery Girl, the author’s first novel, it is enthralling from beginning to end. David has a knack for getting readers hooked from the very first page. The mixture of murder, mystery, secrets, and memories served as the perfect ingredients for a truly absorbing story. It will keep interest levels high as it builds up the tension, but only to have it fold creating a wicked twist in the storyline. The action and dialogue were plenty and kept the plot moving along well. The Hiding Place is an amazing and riveting police procedural that also tells a touching story about human emotions. David Bell has struck another homerun with this one and I certainly cannot wait for what he is going to pitch to us next. Thank you DAVID BELL for making this giveaway possible. 1 Winner will receive a Copy of The Hiding Place by David J. Bell. Thank you David and Jean for making this possible! you are both so generous. Thank you so much David for donating your book for this giveaway!! Happy Thanksgiving Jean and David!!! This is a great story line. I'm hoping to win the book. Thanks David! Thank you so much for this wonderful donation David and I am very intrigued by your book!